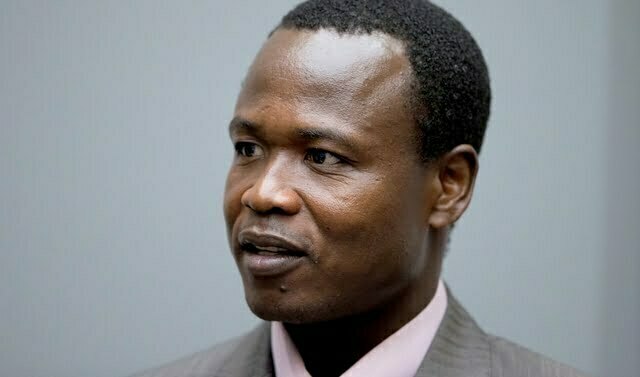 Detained former Lord’s Resistance Army (LRA) rebels commander Dominic Ongwen is a proud father of a bouncing new child. The child whose gender has been concealed, was conceived during the second leg of a private family visit, his wife and children made last year to the International Criminal Court’s (ICC) detention centre. Ongwen broke the news of the new born child to a group of four leading Acholi leaders who visited him at the detention center in the Hague on Friday last week. “He said the court allows his immediate family – his wife and children to visit him. I think his wife has visited him about twice already. Actually when his wife visited him last year, she went back pregnant and has given birth. She has given birth and the guy was excited to talk about that. The court allows them to have their conjugal rights. His children have visited him, he calls them. His children are in school in Gulu, he talks to them,” Mapenduzi said. While in captivity of the LRA, Ongwen fathered more than 20 children with different women that he enslaved as wives. While in detention, he invites the ones he loves the most to visit him, it’s during these visits that a new child has been born. The South Sudan mediated peace talks ended without the final peace agreement after Kony refused to show up and sign the final text of the agreement citing failure to withdraw the ICC arrest warrants which were hanging over five of the group’s top commanders. “One statement that really touched me, he said; paramount chief, ‘ thank God that I’m seated facing you right now because I can feel you. 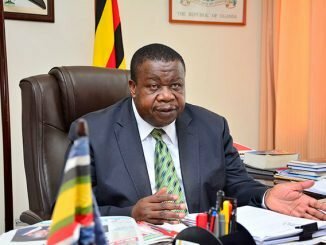 I remember how Joseph Kony had ordered that you be killed and how it became a very heated debate – almost risky when I resisted. Some commanders had sided with Kony that you be killed together with other leaders including Odhiambo. '” said Ojara. “It was good Ongwen opened up to confess without duress as he had been waiting for the confession for a long time” Mapenduzi elaborated. Under the International Criminal Court’s founding treaty conjugal right is provided for. The other rights are right to an effective defense and fair judge, the right to equality and equal treatment by law, the right of presumption of innocence, negative comments from the public authorities and the right to respect of privacy, family, home and correspondence.